Crystal View Window Cleaning, Inc. Comment: Need to buy privacy trees. Comment: Looking for someone to build a wall on slope on side of back yard . We need sod and some bushes. . We just had a stamped patio done this week and need landscaping done by May 18 . Comment: I need to have a couple pine trees pulled out and have the roots dug up. I need multiple bushes, pine trees planted. Need suggestions on shrubs or trees in multiple areas. Thank you. Comment: would like 6yds premium brown mulch delivered and spread- before too many plants come up. Schaumburg Landscaping Companies are rated 4.72 out of 5 based on 1,140 reviews of 55 pros. 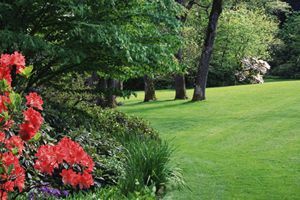 Not Looking for Landscaping Contractors in Schaumburg, IL?